ient, & green! speeding up the process and require less planning, while slow cookers slow down the process to the point that you don’t have to monitor it like you do a stove top method with the bonus that the cooking can be done outside the house in the warmer months. You might even find both methods useful. • Sometimes preheating the oven is advisable. In general, I do this when a recipe contains yeast, baking powder, or baking soda. In other words, when I’m expecting a chemical reaction that will make the food rise or form air bubbles. Specific circumstances are needed for that; it’s better not to risk a failed recipe. of running water. That water can be used to water house plants. Immersing vegetables that can carry a lot of sand and soil, such as greens, is the best way to clean them: the dirt sinks to the bottom of the bowl, the greens are lifted out, and the water and dirt can go on to be useful for other plants. • Toaster ovens can be especially useful if you have small amounts to heat up in an oven. They are quicker and more efficient than a full size oven. Larger toaster ovens can even bake small pans of brownies, small cakes, and cupcakes in them. I’m never so aware of the life giving properties of water as when I’m cooking. It’s needed to nourish the plants and animals that feed us, to clean the food, and to aid in cooking it. Where would we be if we ran out? • My houseplants also like the water left over from steaming vegetables and cooking pasta. Avoid using salted water. • Even though directions always say to preheat your oven, that is not true! It is not necessary when you are heating a frozen food. Just put it in the oven, set it for the temperature on the package, and set a timer for a few minutes longer than you would if preheating. The Rush to Harvest Waiting for a harvest is like waiting for water to boil. No, I’m not talking about the growing season of zucchini – though I’m sure the same principles apply. I’m talking about waiting for results, after putting determination, time, and effort, into a working. When you first learn about spells, magick, and witchcraft, it sounds like you can get something from nothing. You spend a great deal of time mastering the art of ritual. You learn techniques for how to raise and build energy in the rite/spell itself. You learn methods for releasing and directing the energy. Then when you step out of the circle, you are taught: “That is it, the spell is cast, the working is finished.” All that is left is the waiting for manifestation – your harvest so to speak. instead of the cheap stuff? By day three you are thinking, didn’t I read somewhere that if it doesn’t work within 48 hours then it isn’t going to work? By day seven you think, once again, why exactly didn’t it work? After all, if you did it right, there should have been results by now? Or should there be? Many new practitioners, fall into this trap. I cast the spell – so where is my pay off? They forget that like everything else in life you don’t get something for nothing. The working is just the starting point. By casting the spell you have put the world on notice – Hi World (God/Goddess if you prefer), I need… can I get some help please? Hi World... Can I Get Some Help Please? You did it. You’ve put in all the work: cast the spell, did the ritual, said the magic words, and now nothing. You are waiting. Thumbs are twiddling, you are checking the time on your cell phone every minute, you are staring at the phone, and you are watching the window for the mail carrier. It is excruciating. You live an entire lifetime in each 60 minutes and still nothing. spell. Spells are not an end run around the realities of day to day life. They do not act like Jack’s Magic Beans producing a giant bean stalk over night. Spells are more like Miracle Grow; you get bigger produce with them than without, but I have yet to see Miracle Grow produce a plant in unsown soil. What is missing is the continuation of the energy cycle. Most people assume when the ritual is finished and you step out of the circle that the working is complete. This is both right and wrong. It is right in that you have set the working into motion, and that part is complete. But you are wrong because the working is not actually finished until manifestation occurs. Throughout the time between the actual casting and the manifestation, the spell is germinating, it is drawing on the energy you have fed it and it is using the energy to direct to you what you need. But the energy it has is a finite energy. Like a battery it only holds so much charge, and when the charge is depleted so is the spell. Obviously this means that the more energy you put into it at the beginning the better – but what about afterwards? Your actions and behaviors after the spell is cast can further charge the spell or can drain it completely. Reinforcing behavior adds energy. Example: putting in job applications, calling an employer, or inquiring about openings when you cast a spell for a new job. Negative behavior drains energy. Example: telling your neighbor that the entire state is blighted and you are never going to find a job. Keeping this principle in mind the next time you cast a spell, should cut down on the thumb twiddling, and mail box watching. Be proactive instead of just lying around waiting for your harvest. The Iroquois have a legend about the “faceless doll.” It seems that the first corn husk doll was made to be the companion for a little Indian girl. The story tells us that the Iroquois people have what they call the three sisters, the “sustainers of life”. These sisters are called corn, beans, and squash. The corn Spirit was so thrilled at being one of the sustainers of life that she asked the Creator what more she could do for her people. The Creator said that a beautiful doll could be formed from the husks. The Creator set to work to form the doll. When finished he gave the doll a beautiful face and sent it to the children of the Iroquois people to play with, and to make them happy. The doll went from village to village playing with the children and doing whatever she could for the children. Everywhere she went everyone would tell her how beautiful she was, so after a while she became vain. The Creator spoke to her and explained that this was not the right kind of behavior, and she agreed not to be this way anymore. The Creator told her that if she continued with this behavior he would punish her, but he would not tell her how he would do it. She agreed not to act that way again, and things went on as before. One afternoon she was walking by a creek and she glanced into the water. As she admired herself, she couldn’t help thinking how beautiful she was, because indeed she was beautiful. At this time the Creator sent a giant screech owl out of the sky and it snatched her reflection from the water. When she looked again, she had no reflection. This was the punishment the Creator put upon her. When an Iroquois Mother makes a doll for her child, she tells them this legend which is to remind the child that it is wrong to think they are better than anyone else, and they must know that the Creator has given a special gift to everyone. Just as Native Americans made corn husk dolls, you can too! Tie each end of the arm tube or braid with a piece of string. Soak the corn husks in the water until they are soft and bendable. Separate the husks. You will need at least 10 pieces of the husk for each doll. Put the tube between the body husks below the head so that an arm sticks out on each side. Make a waist for the doll by tying a piece of string around the body husks below the arms. This helps hold the arms in place. Choose four husks about the same size. Lay them on top of one another. Tie the pointy ends together close to the top. These husks make the body of the doll. Take two husks in each hand and fold them over the string so the string is inside. The fold will form the top of the doll’s head. Pull a string around the husks and tie to make the head. Take another husk. Wrap it around the back of the neck and crisscross it across the chest to make shoulders. Tie it to the doll around the waist. Make legs. Separate the body husks below the waist into 2 parts, tearing from the bottom if necessary. Tie each section at the ankle to make legs. Or leave the main husks untied to make a skirt. If you want to, you can cover the string ties by tying strips of the husks over them. roll the husk into a tight tube. Or, you can braid three long thin pieces of husk together to make the arms. One reason Walraven’s portraits catch the eye is the detail brought to the viewer: colors and textures we do not generally see. “I like to show detail one may never notice while viewing a bird in the field. Much of these details you would only see with a bird in hand.” So how does one come about to experiencing a “bird in hand?” Walraven works at bird banding stations and animal rehabilitation centers. “Bird banding is done for studying birds: the act of catching birds in mist nests, gently removing them, measuring their wings, checking how much fat they have, putting a band with a number on their leg, and then letting them go... It was remarkable to me how individual birds were, one of a species compared to the other. Each bird was different. The ability of having them in hand and studying their tiny features inspired me to paint them in portrait form. The bright colors and outlining was just something I did from the very beginning. I love playing with color and how colors affect each other. “I eventually began painting mammals in a similar way. I did work in wildlife rehabilitation for 7 years, but rarely was I able to handle mammals much. I paint from photos, to insure exactness of the species. Painting fur is so different than painting feathers, I will often mix color into the fur, where my birds are more graphic.” As viewers, Walraven’s work attracts us because it makes the connection between ourselves and the subject matter. As pagans, Walraven’s work attracts us because it makes the connection between our inherent respect for nature and the individual characteristics of each creature. Besides being influenced by her love of the out of doors and her passion for color, does Walraven’s spirituality affect her art? 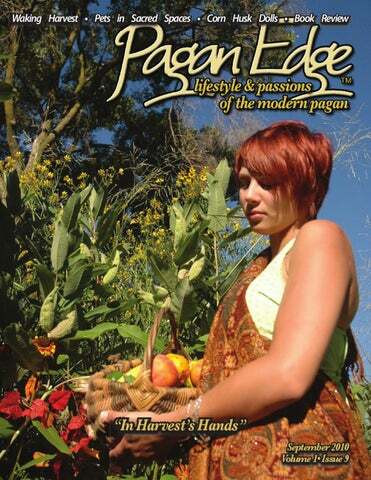 “My being pagan does influence my work in that nature is my church, it is where I worship, it is what I worship. I sometimes portray my animals and birds in shrine like settings. To me they are more than dear, they are divine. I suppose there are some religions that may frown upon the idea of portraying animals and birds as sacred in art. As an environmentalist, naturalist, and artist, nature to me, is everything.” Although she paints wildlife she does not categorize herself as a wildlife artist, “I would call my work graphic, pop, folk art, outsider art.” It is true there is a hint of Warhol, if one replaced his soup cans with Walraven’s rafter of turkeys. Indeed her bold pieces have gone commercial as they are used to promote various festivals focusing on birding, wildlife, and ecology. She creates posters, Tshirts, and other work on commission for such events but also donates part of her sales on Etsy and Cafe Press to charities such as Defenders of Wildlife, National Wildlife Federation, and organizations fighting to restore the Gulf of Mexico. While she does not have her own gallery, her works can be found in galleries and shops in North Carolina and Arizona, USA and also online. To see more of Walraven’s portfolio, visit her website www.wrensandravens.com where you can also buy paintings, note cards, hats and other fun art. I am so glad that you are out there, enjoying nature, the sunshine, and the beauty that your area offers! As for your question of offerings… Well, I think that making offerings is an extremely personal act. I think that you, in your gut and with your intuition, know what is appropriate and “enough”, just as you know what kind of offering (i.e., tobacco, a simple thank you, or water) is necessary. For you, it seems that offering your general thanks during a hike or walk may be enough. For your friend, it seems that she needs to provide a small offering every time she takes something — sort of take a little, give a little. Neither is wrong. I would encourage you to search yourself and do what feels right and best for you. And ask the plants or trees or land what they think would be helpful or appropriate. Also, if you feel uncomfortable with your friend’s behavior, talk to her about it. She likely has different views on offerings and maybe the two of you can learn something from each other. I wish you many beautiful walks in the future, with many lovely finds and many lovely friends. Send some pictures, if you take them, and maybe a rock or two for me. Mark, PJ, and Ric. They were a group of friends before they became Spiral Rhythm; and remain so today. Ric, Kerri, Kiki, and Jon were in Trybalaka together, the predecessor to Spiral Rhythm. Their sister band, Skyypilot, features Kerri, Jon, Ric, Mark, Beth, and Steve Fortuna. Spiral Rhythm has released seven albums: I Am (2001) Live @ Turning of the Year (2002 Roll of Thunder (2003) Live @ PSG (2004) Drum Circle (2005) Live ‘05 (2005) We Are Light (2007) They began producing their albums with Musiphysical Productions in 2003. Mark also released a solo album this year titled Interstellar Slideshow 13. Spiral Rhythm recently did a show in Ohio at the Wisteria Summer Solstice Gathering. The band’s albums can be bought at CD Baby or downloaded through iTunes. For more information on Spiral Rhythm, visit their website at w w w.spiralrhythm. net. They can also be found on MySpace and Facebook. You can also check out their music on YouTube for a taste of what they have to offer. Spiral Rhythm will make you stand and be proud to be Pagan. frozen for later use and I’ll share a great recipe for them that will use up other harvest veggies as well. Gently washed herbs can also be freeze-dried on baking sheets, and then bagged for freezer storage. For herbs that you will likely add to sauces or soups, freeze them in ice cube trays. This can make for even more convenience later if you measure a set quantity, say one teaspoon, into each compartment of the tray. Fill the remaining space with water then freeze. When frozen solid, place the cubes into freezer bags or containers, being sure to note the quantity of herb per cube. For basil lovers, I suggest making pesto and then freezing it with 1 tablespoon per cube – no water needed. Pesto cubes, like the herbs in water cubes, are perfect to toss one or two at a time into soups for a burst of fresh flavor or for thawing in larger quantities for pasta or pizza topping. Come the dead of winter, whether you want to enhance the flavor and depth of your hardy, warming dishes or recapture the tastes of summer, you’ll be glad you took the time to chill a bit when the harvest was high. Pesto Sauce (aprox 1 Cup) In a blender or food processor combine and pulverize the following: 2 packed cups washed fresh basil 3 peeled garlic cloves 4 tablespoons pine nuts or walnuts One-half cup olive oil Once pasty, add: One-half cup grated parmesan cheese and process briefly to blend. 1) Slice off tomato tops and scoop out pulp to make room for stuffing. Set these aside. Discard, or store for future use, one half of the pulp then remove seeds from and finely chop remaining half. 2) Whisk together eggs and ricotta in medium bowl until smooth. Stir in onion, basil and 2 tbs of the parmesan. Add corn, diced zucchini and tomato pulp; stirring until combined. 3) Fill each tomato just to top with one-half cup of ricotta mix. Sprinkle each with one-half tsp. of parmesan then top with 3 zucchini slices and tomato top. 4) Bake 45 minutes in large baking dish, until filling puffs and tops are browned. Let stand 10 minutes before serving. To freeze; cool completely, then wrap in foil and plastic wrap before freezing. To reheat; thaw completely, then bake in preheated 350F oven for 20 to 30 minutes until filling is hot. With apothecary in the title, I thought this book would mostly be herbal remedies and foods of a similar nature. Not so! This book not only includes those helpful tinctures, decoctions, and salves, but also includes yummy recipes, like Wheat-Free Maple Corn Bread and Zest Herbal Seasoning Blend. Shababy also offers recipes and instructions for helpful beauty solutions like hair rinses and foot baths. Perhaps what I enjoyed the most from this book is Shababy’s attitude. She writes in a lighthearted and joyful manner. Every chapter speaks of exploration and personalization, highlighting her experiences, but encouraging the reader’s growth and intuition. She also exhibits a profound respect for nature and reminds the reader to express gratitude for what has been harvested and what is used—a whole mini chapter is devoted to this! Overall, I see this as a vital addition to the library of anyone who loves and respects plants and the natural world. Bill Willingham about Fables characters. But even if you haven’t read the graphic novels, you can still enjoy this book about Peter Piper and his brother, Max, or the Pied Piper of Hamelin. Willingham gives you a present day view of Fabletown, the Farm, and the Fables who live there as they prepare for war with the Adversary. Peter and his wife, Bo Peep, live at the Farm, in seclusion and have done so for many, many years. But one day, Peter discovers that his brother, Max, has been spotted and he realizes that he must go and face him—for Max has become an evil man who could endanger all of Fabletown by joining with the Adversary. But Max has also vowed to hunt Peter and Bo down and to destroy them. The novel jumps back and forth from present day to Peter and Max’s childhood and young adulthood. Throughout the book, you discover the story of one brother’s jealousy over his younger brother’s talent. Max becomes filled with rage because his father gave the beloved Frost, the family’s magical flute, to Peter instead of him. This one act twists Max forever and drives him to do the most evil deeds. The narrative jumps between Peter’s and Max’s stories, offering insight into each character. The story is definitely filled with adventure, suspense, and magic. As a bonus for you Fables lovers, you also learn more about the histories of other beloved Fables characters, like Bigby Wolf and Frau Totenkinder. This is a wonderful addition to the Fables world and an excellent start for those who may be unsure about enjoying the graphic novel format of the other Fables tales. The HARVEST During our lives, we all have regrets of things we did not do. My regret over the years has been postponing the remodeling of our living room. 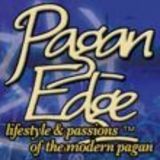 For the past seven years I have been actively involved in planning and organizing a yearly pagan event. When I looked at the 2010 calendar with all the weekends marked from April to November for possible fund raising events and thought of all the time I would be spending on the computer, planning, traveling, etc., I realized my husband and I were going to postpone our own projects and goals for yet another year. It is April and I have come to the conclusion I am starting to suffer from burnout. I call the cousins in New Mexico who I have not seen for ten years and tell them I would love to visit them if that works for them. I inform the core members of the yearly event that I am taking a year sabbatical. Have you ever heard the saying “be careful what you ask for because you never know who is listening”? Well my Deities were apparently not only listening but agreeing with my decision as well and were going to be as supportive as possible. I take our computer to a local high school once a year for maintenance. We are told the hard drive is getting ready to crash and should be replaced. The core members of the yearly event are requesting files that are on the computer. One week after we have the computer, I hear a loud “pop” and the fan now sounds exceptionally loud. We take the computer to the school a second time. The fan unit is broken and needs to be replaced. A new fan unit is ordered and installed. I am starting to feel guilty for my decision in regards to the sabbatical. I decide to reverse my decision. “Someone” does not agree with this decision. My cell phone of two years dies! Long distance is not available on our landline, so we are unable to call anyone outside our world of approximately a 15-mile radius. Yes, all the core members of the yearly event are long distance. A new cell phone is ordered and will be delivered by the man wearing brown. I have an old cell phone and battery charger at my son’s house a few hours away. He brings his three children and two dogs to spend a couple weeks with us. He also brings the old cell phone but forgets the charger. No problem — there is mail service available. He will send the charger by mail. The charger has arrived after only 7 days! Odd, it does not fit the cell phone… probably because it is the wrong charger! No computer, no cell phone/long distance, no problem. I still have a car. My husband starts my car and the starter grinds (literally) to a screeching halt. A call to the road service company and the car is towed into the repair shop. The starter has to be replaced. No computer, no cell phone/long distance, no transportation. Perhaps we should be working on our projects. We decide to tear out all the paneling, plaster, sheetrock, and insulation. A huge dumpster is ordered and delivered. Everything is moved to other rooms, trashed, or set aside to be given away to others. We start tearing out walls and find very little insulation between the studs. No wonder the living room seems cold in the winter! It is Saturday July 24th; the battery charger for the old cell phone has arrived so I now have access to long distance. Things are looking great! I am working in the computer room and preparing for the arrival of the coven members for Full Moon that evening. Advertise in Web and Magazine Exposure!